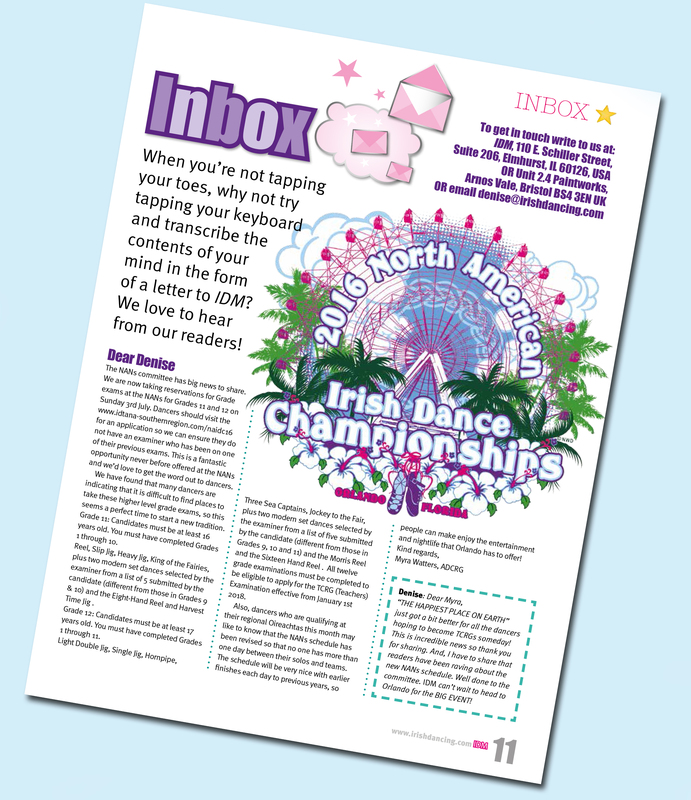 Did you see our announcement in Irish Dancing & Culture Magazine? Big news on grade exams at the 2016 North American Irish Dance Championships. The 2016 North American Irish Dance Championships host committee is excited to announce that for the first time grade 11 and grade 12 exams will be offered during the event on Sunday, July 3. Grade 11: Candidates must be at least 16 years old. You must have completed exams for grades 1-10. Dances: Reel, Slip Jig, Heavy Jig, King of the Fairies, plus two modern set dances selected by the examiner from a list of 5 submitted by the candidate (different from those in grades 9 and 10) and the Eight Hand Reel and Harvest Time Jig. Grade 12: Candidates must be at least 17 years old. You must have completed exams for grades 1-11. Dances: Light Double Jig, Single Jig, Hornpipe, Three Sea Captains, Jockey to the Fair, plus two modern set dances selected from a list of 5 submitted by the candidate (different from those in grades 9, 10 and 11) and the Morris Reel and the Sixteen Hand Reel. All 12 grade examinations must be completed by dancers wishing to apply for the TCRG examination effective January 1, 2018. Please complete the applications below for Grades 11 and 12. This will ensure the committee can select an examiner who has not been on a previous exam panel. Application forms must be received no later than March 1, 2016.